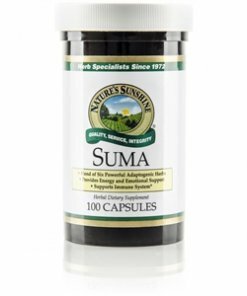 Nature’s Sunshine SUMA Combination blends six herbs that nourish the immune system, provide energy, and support the emotions. Suma, considered a para todo or a cure-all in South America, shares properties with ginseng. 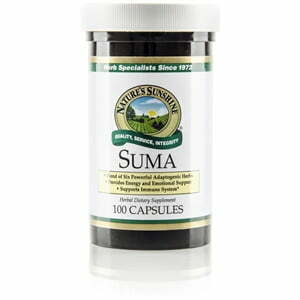 Astragalus root joins suma in SUMA Combination to boost energy. It also is similar in properties to ginseng. Instructions: Take two or three capsules with a meal three times daily.